Spending time outdoors with family and friends is always relaxing and enjoyable. The only problem is that most families in the United States aren’t able to enjoy the outdoors year round. 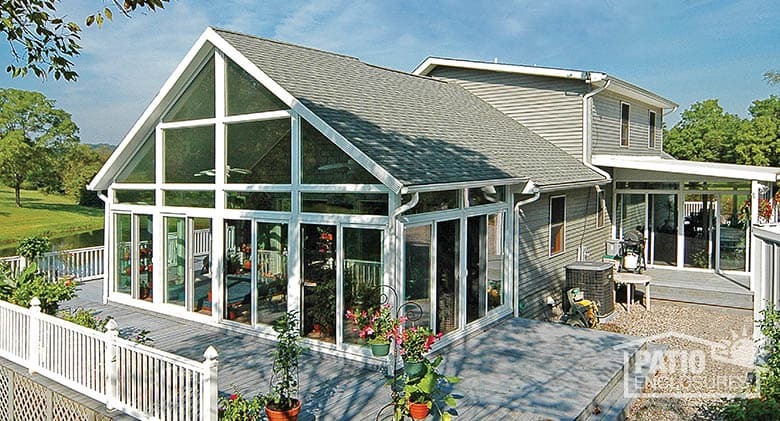 Adding a sunroom addition onto your home is the perfect way to extend the seasons and your living space. All season and four season rooms have windows on three walls, bringing the experience of the outdoors to your doorstep. You can see the sky, trees and grass – all that nature has to offer, but without the irritations associated with actually being outside. 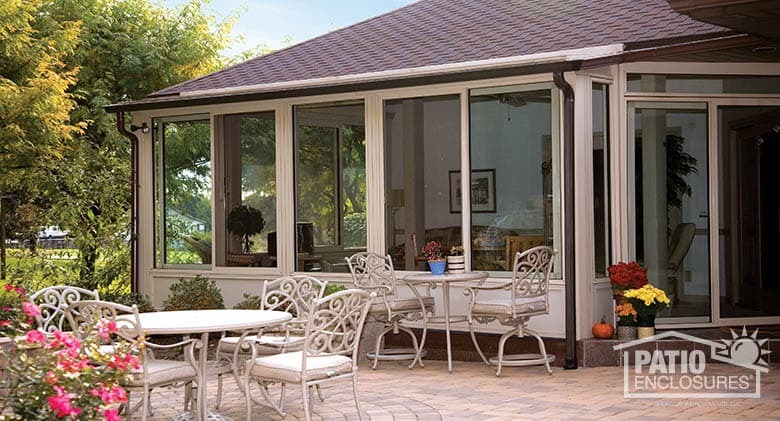 Homeowners are often pleasantly surprised by the drastic difference that installing a sunroom can make. It becomes the place where everyone gathers to chat, play games, eat or spend time with friends and family. In general, sunrooms come in all shapes, designs and sizes, and are referred to by specific names, including: screen room, three season room, four season room/all season room, solarium or traditional sunroom . Each one of these shares some components of the others, but each is different in a few important ways. They’re also economical to install, since they can be added onto the back or side of your home, or even built on an already-existing patio or deck. You may already have a roof or foundation in place that could be used, which can reduce installation costs. When choosing a type and style of room, be sure to consider your needs, desires, lifestyle, budget and location of the proposed sunroom. A great solution for adding extra space to your home is a four season room, which is also known as an all-season room. Adding a four season room to your home allows you to bring all the best elements of the outdoors inside the home and leave the worst outside. 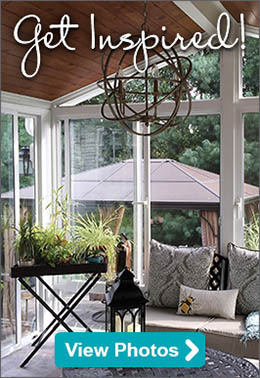 Unlike a three season sunroom, an all season room can be used year-round. Some other benefits of an all season/ four season room are outlined below. As you may have already realized, an all season room and four season room are exactly the same. Depending on where you live, it might be called one or the other. Knowing this, there are a few key facts to consider before moving forward with any sunroom. 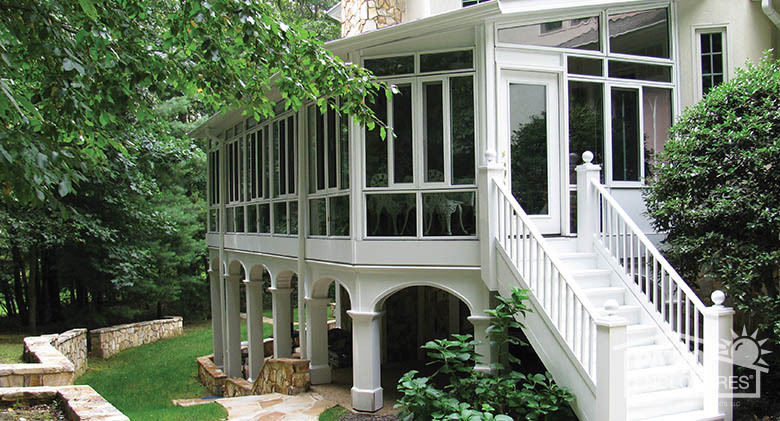 An all season/ four season sunroom should be built to withstand both hot and cold temperatures. The most important considerations are the insulation and the type of glass used. The windows in a sunroom are one of the most important components, since they are the focal point of the room. Installing high-performance, energy-efficient windows, makes a four season sunroom both beautiful and comfortable during any season of the year. By using insulated glass products, you can expect lower electricity costs. Insulated glass is also perfect for blocking ultraviolet rays from your sunroom, protecting your furnishings. These sunroom additions provide a relaxing place where your family can enjoy nature without actually being outside. Instead, you’ll be enjoying all the luxuries of air conditioning, comfy furniture, television and many other amenities, while feeling like you’re outside. Overall, homeowners want to make the best investment when it comes to home improvement projects. For the best return on investment, it’s important to research the sunroom company you plan to use, and ensure they are a good fit for you. When choosing a home improvement expert like Patio Enclosures®, rest assured that not only are you making a great investment, but you’ll be thrilled with the result for years to come. Our unique brand of sunrooms is covered by a limited lifetime warranty, and we’ve been serving homeowners in the U.S. and Canada since 1966. We can work with your budget to create an attractive, well-built all season/ four season room that will offer years of enjoyment. Our sunrooms are custom designed and custom manufactured to meet your needs, budget and lifestyle. Contact us today by scheduling a free in-home estimate online or calling 1-800-230-8301.